We call for the establishment of the First Nations Voice enshrined in the Constitution. Makarrata is a culmination of our agenda—the coming together after a struggle. It captures our aspirations for a fair and truthful relationship with the people of Australia and a better future for our children based on justice and self-determination. We seek a Makarrata Commission to supervise a process of agreement-making between governments and First Nations and truth-telling about our history. Noel Pearson got all he hoped for from the Uluru constitutional convention for indigenous people held from May 24 to 26. The “Uluru Statement from the Heart” is an abridged version of an article he wrote two years ago in the Australian (July 4–5, 2015) where he said that Aboriginal leaders wanted and deserved more than symbolic recognition from the constitutional change mooted by the Gillard government and subsequently supported by Prime Minister Tony Abbott. The Constitution, Pearson said, is fundamentally about the distribution of power. Pearson stakes his case on the claim that power is the great deprivation from which Aboriginal people suffer in this country. At the constitutional conventions of 1891 and 1897-98 that preceded Federation, he said, Aborigines were not asked to take part in any negotiations of how power would be distributed and order maintained. So they were left powerless and voiceless. 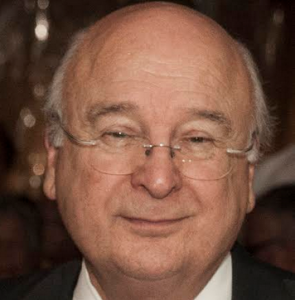 The solution he sought in 2015, and which the Uluru convention now endorses, is for a “Makarrata Commission”, which Pearson says will be “a formal, independent umpire”, to sit between the government and Aboriginal groups to supervise the making of what he calls “agreements”, but which most activists in the lead-up to Uluru called “treaties”. Pearson has also brought into this debate the concept of “First Nations”, a term borrowed from North American activists and once no more than a piece of leftist political argot. Thanks to its repetition throughout the Uluru Statement, the notion has now been implanted in the national political dialogue. This is a clever move by Pearson because, if his proposal ever gets up, it will mean the Commonwealth government would be constitutionally obliged to negotiate with each group claiming First Nation status whenever the government proposed legislation that had any impact on Aboriginal interests. Since native title holders now claim no less than 60 per cent of the Australian continent, such a proposal would mean that not only would any future Commonwealth government have to continue to negotiate legislation through a recalcitrant Senate full of minority parties, but Aboriginal interests would constitute a second even more impenetrable gauntlet for it to run. In short, rather than fulfilling Tony Abbott’s hope that recognition would make the Constitution complete and the nation whole, this latest proposal would perpetuate Aboriginal claims to a point that would render most of the continent largely ungovernable. This column appears in the July, 2017, edition of Quadrant, now on sale. My first two years of life, I was like a refugee child in detention, stateless and unpossessed of citizenship. The supreme law of the home where I was born provided that our people should not be counted in the national census, and that the Commonwealth parliament should not hold any responsibility for us. He repeated this claim on the ABC’s Q&A on May 29. However, his own childhood bore no resemblance to that of a stateless refugee child in detention. He grew up with both his parents on the Hope Vale Mission on Cape York. It was then run by dedicated Lutheran missionaries who gave him a good primary school education and sent him to an elite boarding school, St Peter’s Lutheran College, Brisbane, from where he matriculated to Arts and Law degrees at the University of Sydney. His reference to the Australian Constitution as the supreme law that denied Aborigines like him being counted in the national census is just as bogus. Even though this was commonly claimed by activists before the 1967 referendum, most students of the legal literature at the time knew that in a celebrated paper in 1966 the ANU’s Geoffrey Sawer had exposed it as a myth. And while it is true the Commonwealth could not make laws for Aborigines until the 1967 referendum was passed, that provision had no role in rendering Aborigines stateless or denying them citizenship. Responsibility for Aboriginal education, housing, welfare and labour conditions remained with the Queensland government which, at the time, was accused by most activists not of neglect or desertion but of paternalism and over-protection. it is not possible to say … that the aboriginal people of Australia are organised as a “distinct political society separated from others”, or that they have been uniformly treated as a state … They have no legislative, executive or judicial organs by which sovereignty might be exercised. If such organs existed, they would have no powers, except such as the law of the Commonwealth, or of a State or Territory, might confer upon them. The contention that there is in Australia an aboriginal nation exercising sovereignty, even of a limited kind, is quite impossible in law to maintain. The Uluru Statement also calls for a better future for Aboriginal children through the policy of self-determination. However, there is nothing new about this. Self-determination has been in place and accepted by almost all Australian governments, state and federal, since the 1970s. Since then, governments have withdrawn their meagre funding from the old missions in remote communities and replaced them with far more expensive regimes run by committees of local indigenous people. It is no secret that this forty-year experiment has been a terrible failure, and that some of the loudest voices calling for more self-government have been those in charge of the communities during their worst periods of decline. Noel Pearson is well qualified to speak on this topic because in the past decade he has been responsible for one of the most expensive and one of the most notorious of the failures. Aurukun (population 1300) is one of four communities in Cape York (including Pearson’s home town of Hope Vale) he targeted in a joint corporate/state/Commonwealth welfare reform program backed by $200 million of government funding between 2007 and 2015. Yet in 2013, an investigation for the Queensland government found the settlement was suffering an epidemic of violence and child sexual abuse. More than 200 children under sixteen years old, including twenty-nine under ten years old, were being treated for sexually transmitted diseases, some fifty-six times the rate of infection among the wider Queensland population. In May 2016, all twenty-five members of the Aurukun teaching staff had to be evacuated from the settlement after a mob of 100 Aboriginal youths, some wielding axes and machetes, attacked the homes of several teachers and car-jacked the principal and his wife from their vehicle. These youths did not attend school, were unemployed, and their anarchic, lawless lifestyle had caused years of unrest. In 2012, another surge of incidents against employees of community service agencies led to four of the agencies fleeing Aurukun. Employees targeted included nurses, building contractors, probation officers and even the head of the community “safe house”. A former school teacher said this level of violence had been going on for ten years. Yet when Noel Pearson responded to public criticisms of the situation, he attributed no blame to his programs. He ascribed the violence to sly-grog running, illegal gambling and drug dealing, and blamed the Queensland government for not responding to his appeals for more police. In short, like most self-governed remote communities today, Aurukun fails the most elementary test of what it takes to be a well-ordered society. It cannot provide its own security against a gang of teenage hoodlums. Yet Pearson not only wants the Australian nation to grant this community equal status, he also wants us to perpetuate it through a constitutional guarantee. While he struts across the national political stage, his own people are lurching into bedlam. Rather than allow this shameful farce to be subject to a constitutional referendum, the Turnbull government should drop the curtain on it now. For more debate over constitutional recognition see the proceedings of the Quadrant Constitutional Convention, held on May 24, in this issue. Surely the only way forward for the aboriginal race and anyone identifying as such is to stop listening to progressives and join the mainstream of the Australian community in its social and economic life. Rather than be a voice for progress for aboriginal people, Noel Pearson has become one more of the ranting activists who do nothing for their people and refuse to allow anyone else to. The spurious claims he makes are regrettable and self serving. By hijacking the original aim of the referendum these activists have ensured that no other Australian citizen will ever vote for any kind of mention of aboriginal people in the Constitution. How these people can sleep at night knowing their stupid and unrealistic demands mean that they will lose further generations of their children to the abuse, lawlessness and despair that have plagued them for generations past is beyond me. By perpetuating the myth of the ” stolen generation” they have condemned their women and children to more years of the treatment that exists today. And think they will be able to blame ” whitey” for this. How disgusting. Like all hypocrites they just want us to put up and shut up. The lies and misrepresentations promoting the sanctity and magnificence of the stone age aboriginal culture is becoming ever more nauseating, all in aid of garnering support for “recognition”. Insignificant in itself but most illustrative of the blatant yet extremely stupid dishonesty in an ABC TV coverage of aboriginal art, an indigenous woman sewing(!) with steel needle(!) and thread(!) some “indigenous” art object of some woven fabric(!)!!! How very originally aboriginal! Just as they always did for the millennia before the white man arrived, as everybody knows. The first 3 words of that definition preclude any aboriginal claim to nationhood. Let alone that they shared no common language or established any permanent settlements. Yes but that is white man’s definition of nationhood and therefore can be rejected. As any white man ‘thing’ can be accepted or rejected to suit the narrative. Time for indigenous Australians to joint the real, modern world and learn how to cope with that. No one is asking Aboriginal society to forget where thay come from just to be realistic about where they are headed! Why does Mr Pearson, and other activists on this path, assume that cultural, economic and social apartheid will lead to better outcomes than assimilation? The evidence is already in and clear: aborigines who integrate and live in regional and capital cities have better outcomes than those in small settlements in the traditional tribal areas. Then again, maybe achieving the best outcomes for aborigines is entirely not the point. On a Devil’s Advocate tangent, it may actually make some aspects of Australia more governable, in that companies and governments may be able to by-pass the Greens. It’s clear that you have to be an anthropophobic sociopath to be a Green, and anything progressive is anathema, so negotiating with their representatives, and combatting their campaigns, is a nightmare. The proportion of sociopathic anthropophobes in general aboriginal society is closer to the norm, and it may be easier to negotiate big projects directly and ignore the Greens objections (since they would now be out of the loop and also racist for opposing a project approved by the traditional owners. The Rousseauian notion of the ‘noble savage’ manifests itself, yet again, in this silly notion of Aboriginal ‘nations’. At the time of the Roman conquest of Britain, the island was populated by different tribes (considered ‘barbara’) who were nevertheless incapable of coming together to push an enemy back into the sea. Though infinitely more sophisticated than our Aboriginals, no one ever thought to call them ‘nations’ let alone noble. On the other hand Rousseau hadn’t yet been invented. The thing that irritated the hell out of me was that Nigel Scullion, the Indigenous Affairs minister said that the rest of us should be ‘courageous’ in taking the opportunity to listen to this idea of having an Aboriginal advisory body to the parliament. Interesting choice of word ‘courageous’. I think it’d have been more honest if he had appealed to us not to be ‘appalled’ by the idea, and should then have followed this up with overwhelming reasons why we should accept such a divisive idea. If his sentiments weren’t sufficiently ridiculous, the drop-kick MP for my Berowra electorate, Julian Leeser, called the plan a ‘big break through’. Perhaps he meant a Trojan Horse: a mechanism for the undermining of any sense of constitutional coherence with regards to our dealings with a mere 3% of the population (even if a very very small minority of them represent those who first arrived here). The rest claiming such representation seem more white than black to me, but then I am unashamedly racist and as a result have no right to have an opinion on anything, far less my own sanity. Are the aboriginal people of the Australian continent equal to Europeans or not? Are they capable of building and maintaining an organised society or not? I’m sorry about Noel; I think he’s lost the plot. Probably comes from spending too much time with people way way way less intelligent than you are! Prior to white settlement there were no Aboriginal nations. The act of white settlement has created the “Group Identity” on which nationalism is now based. Effectively, in the Australian sphere, nationalism is a Eurocentric proposition that has been culturally appropriated by Aborigines. … which is why we need vibrant diversity. Australia DOES NOT have a culture, and neither do nations in western Europe which have turned into a packet of Licorice Allsorts. Belgium? Forget it; done!! “Vibrant diversity” (I know you are being sarcastic) won’t save the western world. Unfortunately, in order to ‘celebrate’ ‘vibrant diversity’ lots of people have to die. Kind of reminds you of the story of Jesus Christ, doesn’t it!!! The ‘elephant in the room’ is the definition of aboriginality. How is it determined whether a person is of the aboriginal ‘race’ or belongs (in virtue of race) to an aboriginal ‘nation’? Meanwhile we have the ubiquitous aboriginal flag, standing presumably for a group of people who ‘identify’ as aboriginal and consider themselves to be non-Australians, since their flag flies beside ours, just as if it were the flag of a separate country. Since race is a social construct like gender, and social constructs are fluid and can be deconstructed, any one from any background can claim they’re Aboriginal. Added to this, in a liberal democracy like Australia the individual is free to define themselves, their identity, however they please. It would be extremely oppressive and hypocritical to allow the self definition of gender but not the self definition of race. Don’t “look” aboriginal? No problem! Who decides what being aboriginal is? The oppressive white government?? There are great spoils on offer to those whom identify as aboriginal. Criticism of the system landed Andrew Bolt in hot water but it’s clear that the only way to reform this system is to crash it. Who will argue with you if you try it on? Just claim or make veiled threats of claiming racism and you’ll be sweet. Take all the handouts you can get and invest it in political action groups who’re for the restoration of traditional European society.